When a daughter steps out of her father’s house after marriage, the father is supposed to say, “May you find happiness wherever you go.” But Janaka told Sita something else: “May you bring happiness wherever you go.” Perhaps because Janaka was a good father who had brought up his daughter to be autonomous and responsible for her life and those around her or perhaps because Janaka knew his daughter was a goddess – the earth itself. The earth can be wild or domesticated. Wild, she is the forest. Domesticated, she is the field. Wild, she is a woman. Domesticated, she is the wife. In Hindu mythology, wild earth is visualised as an unclothed goddess, Kali, fearsome, naked, bloodthirsty, with hair unbound. Domesticated earth is visualised as draped in cloth, Gauri, the goddess of civilisation, gentle, demure, beautiful. Gauri’s cloth represents the rules that turn nature into civilisation – rules such as marital fidelity that ensure that even the weakest of man has conjugal security. Sita is Gauri – the clothed goddess. As Gauri, she is the wife who follows her husband wherever he goes. When Ram prepares to set out into his exile, she follows him – not because he asks her to follow, but because it is her duty to be by his side. He tries to stop her, but she insists on fulfilling her role as wife. Ram cannot dissuade her otherwise. And so he sets out with her. Sita thus is not the obedient wife – she is the dutiful wife, the one who knows her responsibilities. Sita’s role as Gauri is further reinforced by Anasuya, the wife of the Rishi Atri, who gifts Sita with a saree which never gets soiled. Later, when Sita is abducted by Ravan, she starts leaving pieces of jewellery, ostensibly to leave a trail behind her so that Ram can find her. But by abandoning her jewellery, a subtle symbolic message is been given to Ram. It means that his dharma is being challenged; Ravan has defied the civilised code of marital fidelity. Ravan wants to make Ram’s field, his forest; he wants to make Gauri, Kali. Every jewellery dropped is a reminder of how close civilisation is at risk of being overrun by the forest. When Ravan is killed and Sita rescued, Ram demands proof that Gauri, the field, bound to a single man, did not even momentarily become Kali, the forest, bound to no man, hence available to all men. The only way this can be done is through the trial of fire. 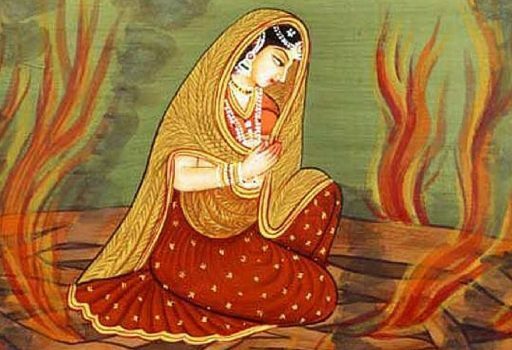 Sita goes through the trial of fire and the fire does not touch her, proving that neither in thought nor in action did she ever think of any other man. 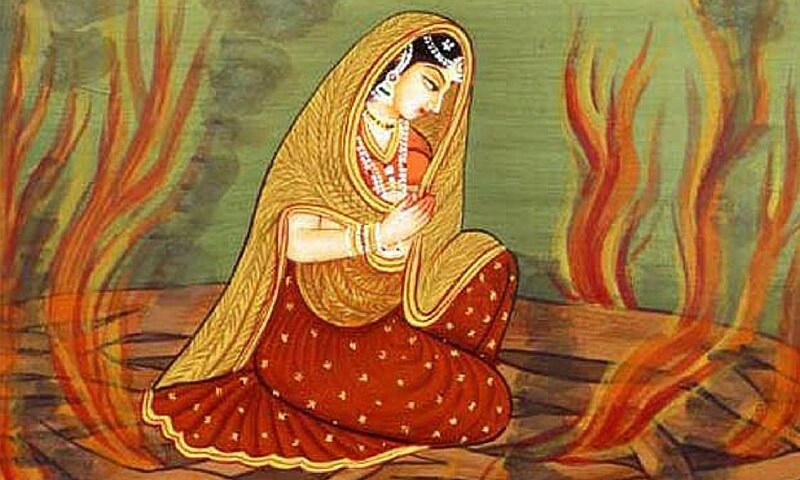 Despite this proof of chastity, the people of Ayodhya ask Ram to reject the queen of soiled reputation. The same laws and traditions – the Raghu-kula-riti – that demanded Ram obey the commandments of his father now demand that Ram respect the wishes of his people. And so, Sita is sent to the forest. and Ram, the king, sensitive to the wishes of his people. Ram, the king, has Sita sent back into the forest but Ram, the husband, never remarries. He places next to him an effigy of Sita made of gold, the metal which symbolises purity, suggesting that he does not doubt his wife’s fidelity but he does respect the laws of Ayodhya and its royal household, however misguided they may have been. Who is this Sita in the forest? Gauri or Kali? She is Gauri to her children – raising them as powerful warriors who on their own are able to defeat the mighty army of Ram. But she is also Kali – the one who has shaken off the mantle of civilisation. She will not be bound by rules of civilisation. Rejected, she refuses to return to Ayodhya as queen or wife. She does not feel the need to follow her husband, this time, as wife. She does not feel obliged to represent the prosperity of the household that rejected her, or bring good luck into it. When asked to prove her chastity once more, she returns to the bowels of earth, whence she came from. 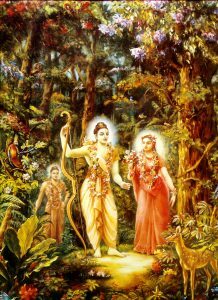 When Ayodhya asked their king to abandon his queen, they inadvertently ended up losing Janaka’s daughter who took away all happiness with her.